I was under the impression that Pies & Coffee was just another pie house where they keep the pies in a chiller and they would microwave them upon a customer’s order. When I paid the Rochester Mall outlet a visit, it turned out that I was terribly wrong. 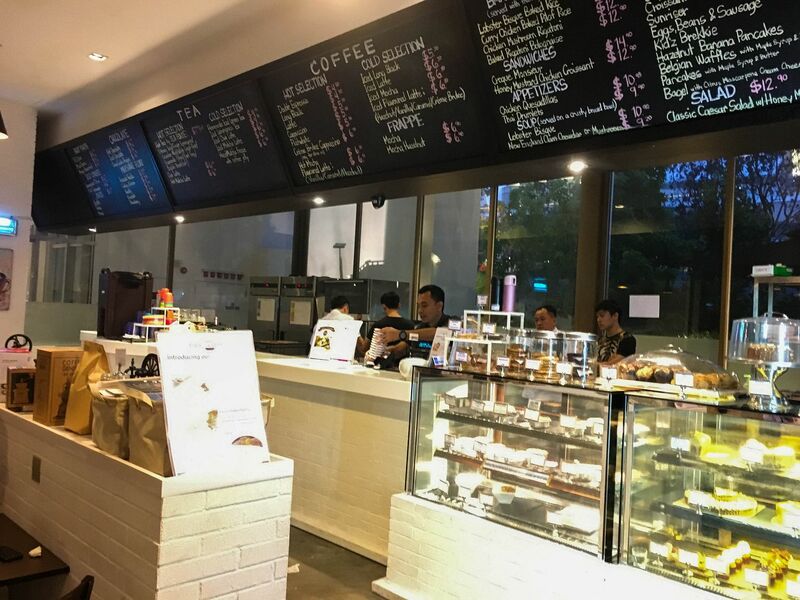 Beyond its modern exterior and dining room, Pies & Coffee had a sizeable kitchen with a good number of chefs bustling about preparing meals for customers. The smell of buttery pastry coupled with the fragrance of Asian curries whetted my appetite which made me dive straight into the menu. On its menu, there was an extensive selection of gourmet pies, some of which were introduced only recently. They are available for both dining-in and takeaway. This was a pretty hefty starter but I’m not complaining. The chowder was painstakingly prepared by stir-frying the vegetables, cooking with fresh clam juice and reducing the potpourri for two hours. The use of many different vegetables such as garlic, onions, celery, carrots and potato add to the richness of the soup, which makes this a very hearty dish. 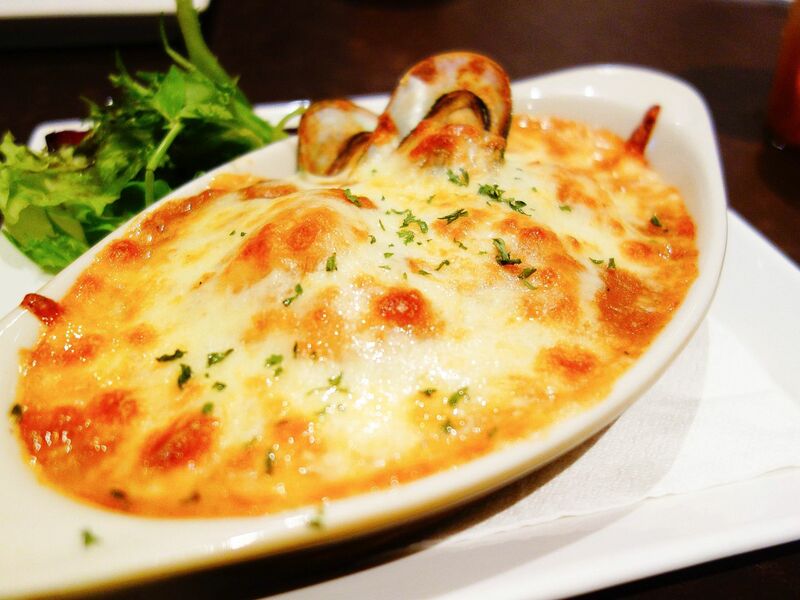 The clams were served with their shells to exhibit freshness and quality. 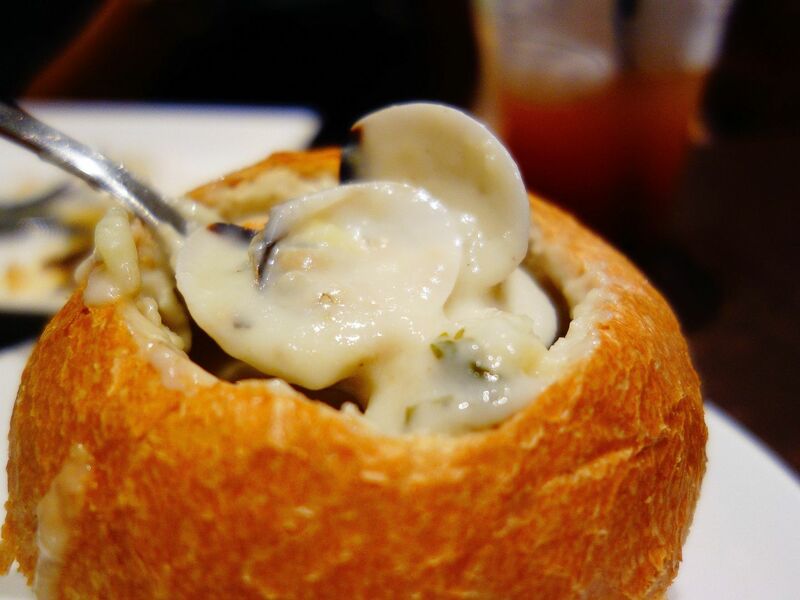 The bread bowl had a nice crust and remained fluffy throughout. This dish by itself would make a satisfying meal. This dish just sounds invigorating. One can expect a burst of flavour the moment he or she bites into a spoonful of the baked rice. There’s so much going on: fresh flower crabs, fresh prawns, slipper lobsters, green mussels, dory fish and of course, the over-riding bisque flavour. The lobster bisque sauce takes a stupendous six hours to prepare by reducing the flower crabs, prawns and slipper lobster jus. The cheese was baked sufficiently and the long-grained rice was neither hard nor burnt. With all that different seafood for $14.90, it’s definitely value for money. 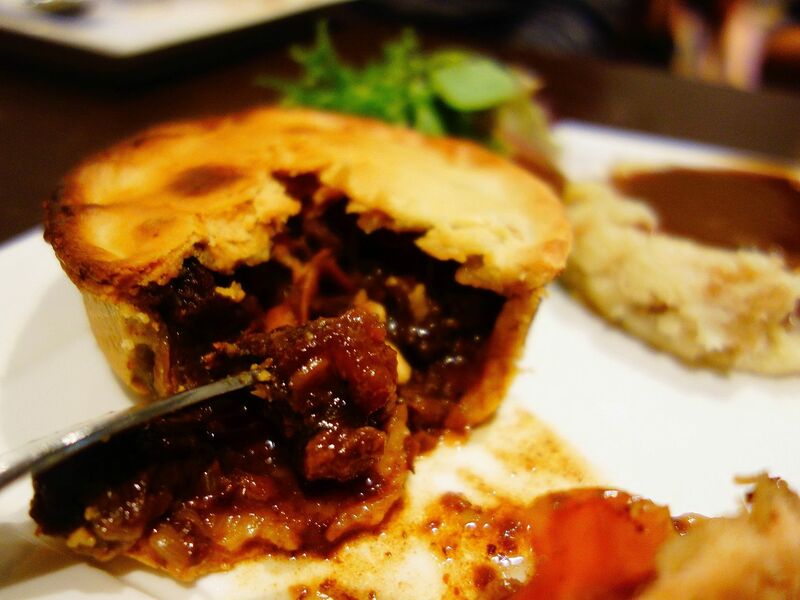 One of Pies & Coffee’s signature pies, the beef cheek. One of my greatest concerns whenever I have a pie is the texture of its pastry. It can really make or break my dining experience. Pies & Coffee managed to militate my concerns as the crusts for all their pies were cooked throughout. The crust was flaky on the outside, was able to hold the pie together and wasn’t doughy at all — perfect for me. The Australian beef was diced into chunks for easy eating. 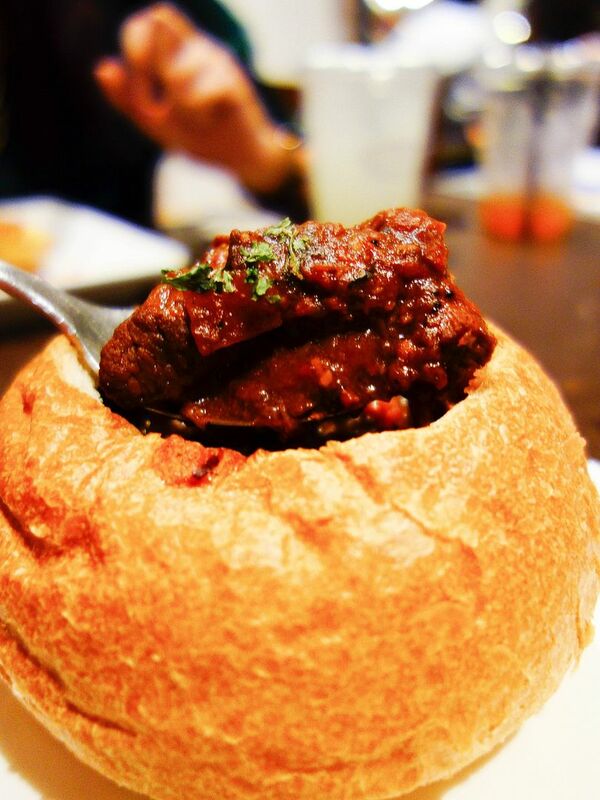 The beef cheek was cooked with ginger and chili which gives the meat that savoury goodness. 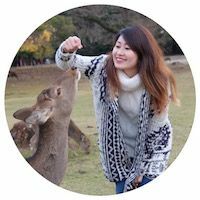 I could also feel and taste the adjoined fats on the meat which added an overall sweetness. I’ve always been fascinated by the colour and flavour of beetroot so I was undoubtedly excited to try this dish! 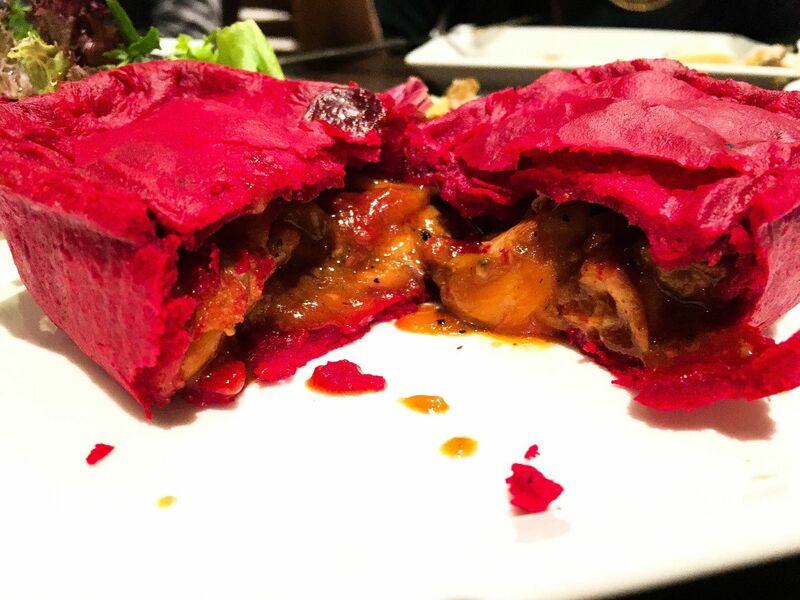 The crust was again made spectacularly but I couldn’t draw the earthy flavour of the beetroot. I guess it was primarily for aesthetic purposes. The barbecue chicken tasted uncannily similar to fan choy but sweeter because of the addition of apricot jam and pineapple. Like most pie dishes on the menu, this was served with a house salad and fluffy mashed potatoes which helped to balance the sweetness of the barbecue chicken. Another visually stimulating pie. 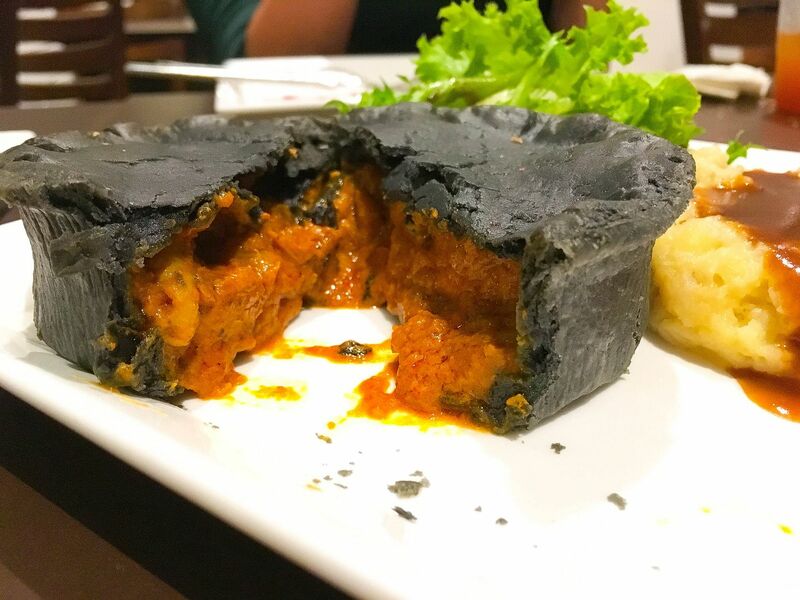 It was encrusted together with charcoal powder which made the pie look equally exciting and intimidating. And intimidating it was. The curry chicken was surprisingly spicy. It was really shiok but for people who can’t take spice, please refrain from ordering this dish. The chicken bits were tender and the potato chunks added texture to the dish. The fragrant curry sauce was made from curry powder, lemongrass, tomato sauce, chili paste, assorted spices and thickened with fresh coconut milk. A croque monsieur is a French baked ham and cheese sandwich. Pies & Coffee should have named theirs “croque monster” because it was massive! The soft crusted olive focaccia bread was baked with turkey ham, garlic turkey, mozzarella cheese and béchamel sauce (roux and milk). 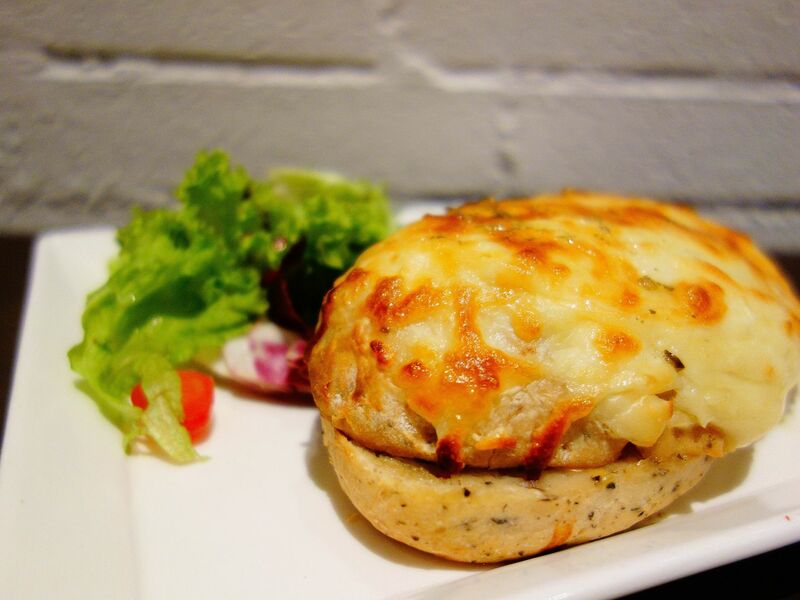 The croque monsieur is topped with a generous helping of pesto sauce to which adds a natural nutty flavour. 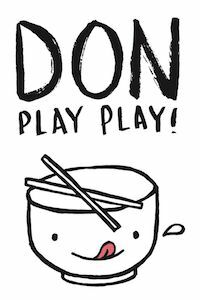 It is definitely advisable to share this dish! One of my favourites for the evening was this hearty and homely beef goulash pot pie. The pie was prepared with much care and the goulash was stewed for over five hours. It was reminiscent of a festive meal with family and friends because who else would put in so much effort into a dish? The goulash was robust in flavour as it was stewed with bell peppers, tomatoes, paprika, cayenne, beef stock, garlic and onion. 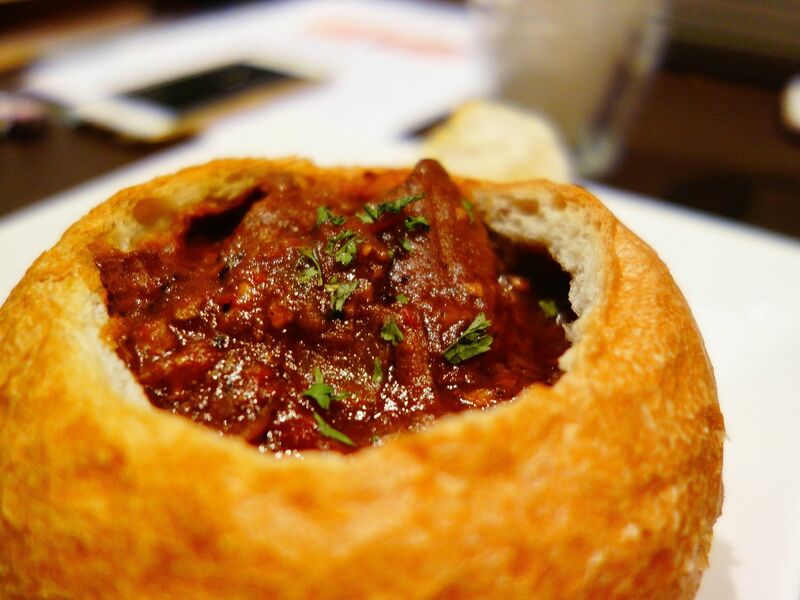 It is also served in a bread bowl which makes this a very wholesome meal in itself. When I was served the curry chicken pot pie, I started salivating immediately. That tower of a chicken leg looked menacing but I was definitely up for the challenge after tasting the spicy curry sauce. The chicken was very well-cooked as it was tender and the meat just comes off the bone easily. 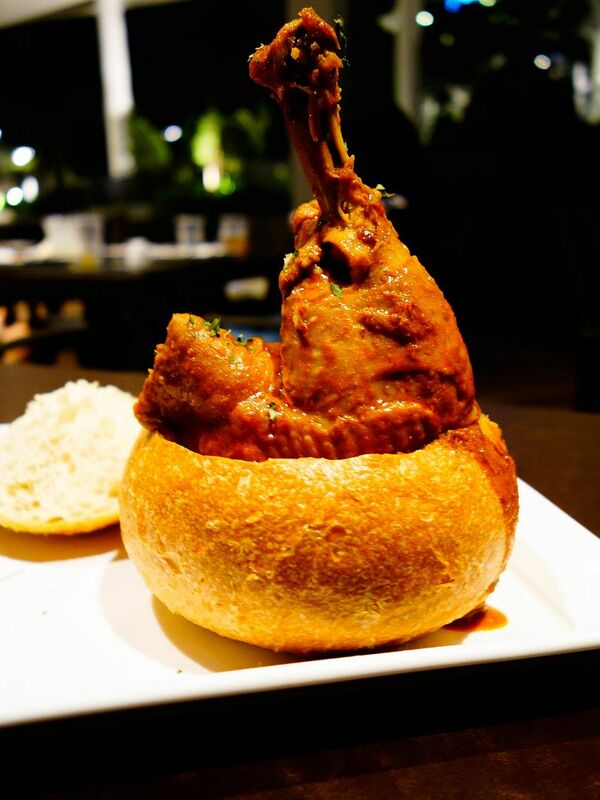 It is served in a bread bowl which makes a good accompaniment with the curry. This dish was also one of my favourites for the night. Finding a good slice of sticky date pudding for the mere price of $7.90 is pretty unheard of. The pudding was light, spongy yet moist. The caramel sauce had the right amount of viscosity and sweetness. My only gripe was the no-frills vanilla ice-cream that tasted ordinary and unnatural. 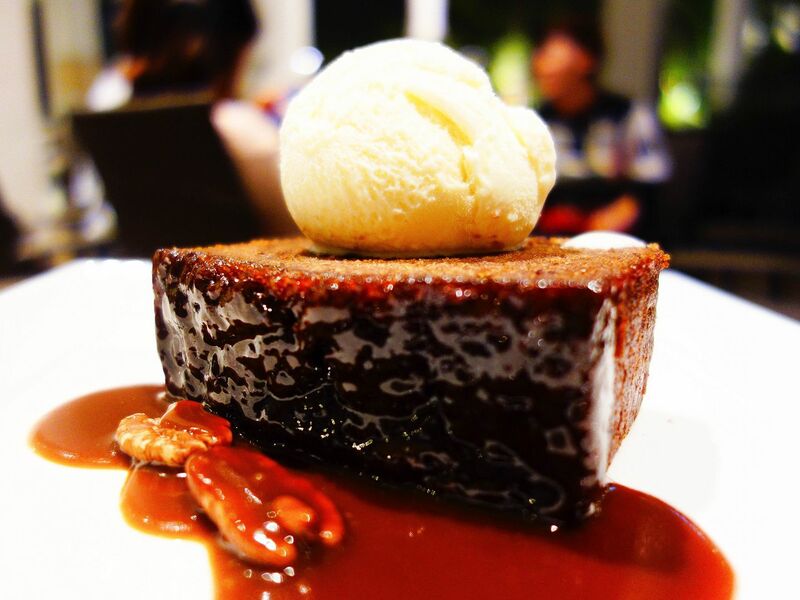 However, for $7.90, you should not give this dessert a miss! From my dining experience at Pies & Coffee, I was thoroughly impressed by how much effort and care they put in to prepare their tasty, unique and classic gourmet pies. Whether you’re feeling peckish for a snack or starving for a full meal, Pies & Coffee has got you covered, and at very affordable prices too. 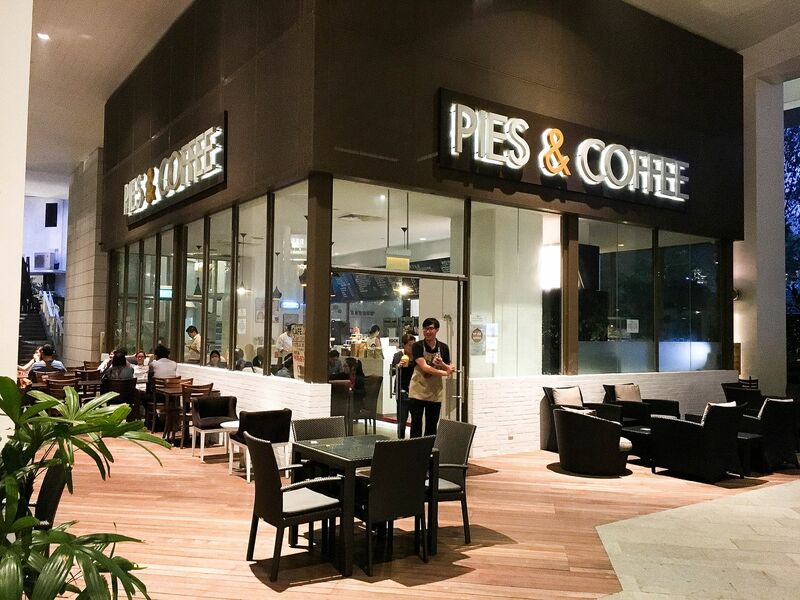 Pies & Coffee can also be located at Robertson Walk, The Grandstand and Alexandra Retail Centre (ARC).